UBC Midwifery is very pleased to announce the fifth annual Elaine Carty Visiting Scholar, Madeleine Kétéskwew Dion Stout, MA, RN. She will be with us March 13-14, 2019 for a stimulating series of discussions and a public lecture. We hope you can join us! Pre-Registration is requested, please do so here. During registration, guests can choose which events they wish to attend and all are complimentary. Please note, remote access will be available for the March 13th events. *Please connect with a laptop or desktop computer in Chrome browser. For troubleshooting and instructions, see the Web Browser User Guide. March 13th — 3:30 – 5:30pm (Chan Auditorium, BC Children’s Hospital, 950 W 28th Ave, Vancouver, BC) (#18 on attached map). Ms. Dion Stout will be joined by BC midwives Evelyn George (NACM), Shannon Greenwood (Haida Gwaii), Lucy Barney (PHSA), Jeane Riley, RSW (BCWH), and others in a panel discussion to explore what it means for perinatal care providers to incorporate reconciliatory practices into clinical care provision. March 13th — 5:30 – 7:00 pm (Chan Auditorium, BC Children’s Hospital, 950 W 28th Ave, Vancouver, BC) (#18 on attached map). Please join us for a light reception to meet Ms. Dion Stout and connect informally with like-minded colleagues. March 13th — 7:00 – 8:30pm (Chan Auditorium, BC Children’s Hospital, 950 W 28th Ave, Vancouver, BC) (#18 on attached map). Ms. Dion Stout, also known as Kétéskwēw, will mine a commemorative stained glass window for tips on signaling reconciliation. The stained glass artwork designed by Christie Belcourt is permanently installed at Centre Block on Parliament Hill. Her lecture will sound out the depths of reconciliation through spoken Cree words like namōýa aýiwāk nikākihitwân: “I have said my piece, I have made my peace’’ as a way of guiding midwives and other health professionals who are on the rocky road toward reconciliation. (For directions, please click here). Ms. Dion Stout will be joined by Dr. Margaret Moss (FNHL, Nursing), Leah Walker (CEIH), Carrie Anne Vanderhoop (CEIH), and Evelyn George (UBC Midwifery Program) for a round table discussion to explore the importance and challenges of working towards reconciliation in health professions education. Note: Due to limited capacity, pre-registration for the round table is highly encouraged. 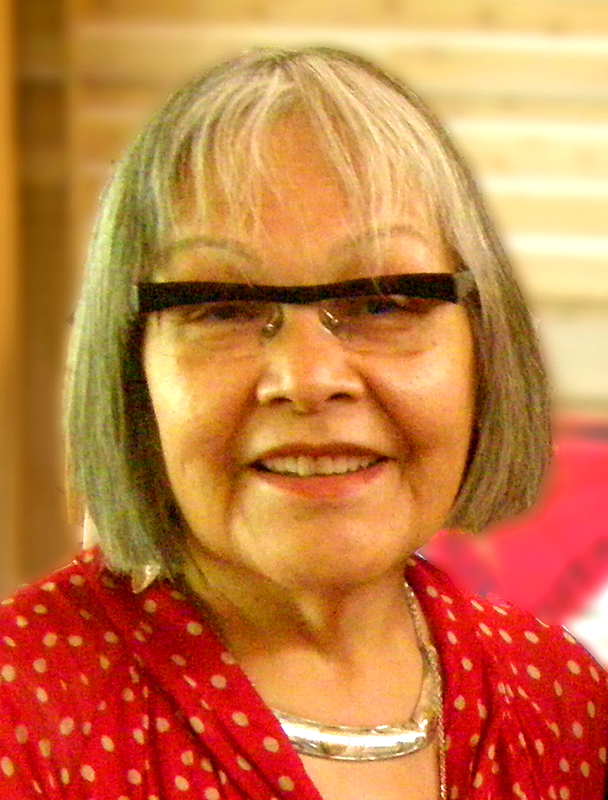 Madeleine Kétéskwew Dion Stout, a Cree speaker, was born and raised on the Kehewin First Nation in Alberta. After graduating from the Edmonton General Hospital as a Registered Nurse, she earned a Bachelor’s Degree in Nursing with Distinction, from the University of Lethbridge and a Master’s Degree in International Affairs from the Norman Paterson School of International Affairs at Carleton University. She serves and has served on several Indigenous and non-Indigenous boards and committees including the National Collaborating Centre for Aboriginal Health and the First Nations Health Authority Board in B.C. Ms. Dion Stout is a past President of the Canadian Indigenous Nurses Association and appointee to the National Forum on Health. In August, 2007, she was appointed to the Mental Health Commission of Canada as an inaugural Vice-chair of the Board of Directors. She was a Professor in Canadian Studies and founding Director of the Centre for Aboriginal Education, Research and Culture at Carleton University in Ottawa. Madeleine adopts a Cree lens in her research, writing and lectures on First Nations health and health care. She is the recipient of the Assiniwikamik Award from the Aboriginal Nurses Association of Canada; a Distinguished Alumnus Award from the University of Lethbridge; and Honorary Doctor of Laws from the University of British Columbia, the University of Ottawa and Carleton University. In November 2008, the Canadian Nurses Association of Canada selected Madeleine for the Centennial Award that was given to 100 outstanding Canadian nurses. In March 2010 she won the National Aboriginal Achievement Award (Indspire Award) in the health category. Madeleine was appointed as a Member of the Order of Canada on July 1, 2015 and has been featured in recent editions of the Canadian WHO’S WHO. Madeleine celebrated her 50th nursing reunion in April of this year with her classmates from the Edmonton General Hospital. In 2016 she was the Champion for the College and Association of Registered Nurses of Alberta when they celebrated their 100th anniversary.